We can point to revival players in both Scotland and Ireland who have used pedal harps for native music, such as Sophia Scott, Margaret MacLean-Clephane, Treasa Ní Chormaic, and Owen Lloyd. And the revival clarsach, Irish harp or lever harp is clearly (and often explicitly) framed as a small, simplified adaption of the single-action pedal harp. But these revival players are re-inventing a new harp tradition, after the end of the old living tradition. So what about earlier, what about the use of pedal harps in the inherited tradition? In Scotland, the native tradition disappeared far too early, with the last indigenous harp players gone by the late 18th century. In Wales, the living tradition continues to the present day, and pedal harp had been taken into the indigenous Welsh tradition since the 19th century. In Ireland, the old Irish harp traditions defined themselves at least partly by the use of a harp with metal wire strings. Yet there are always hints of a flexibility of organlogy, that the Irish harp is less strictly defined in a technical sense than we might like to think. when I was in Cork I got acquainted with a gentleman of the name of Dowling, who lived in Mallow Lane. He was rich but miserly. He liked music, and had a harp in his house that was made in Belgrade; though it was as large as mine it did not weigh more than twelve pounds. Not a man in Cork could tell what kind of wood it was made of. I played on it myself and never heard anything like it. I would have given him any money for it, but he would not part with it. 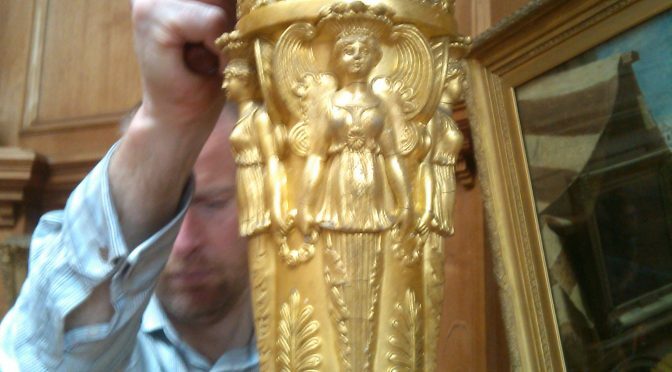 I would guess this might have been a German baroque harp. However, we don’t see any evidence of this kind of instrument coming into the Irish harp tradition – perhaps if Dowling had let Ó Néill have it, the tradition might have gone in a different direction! Towards the end of his life, Arthur Ó Néill was employed by the Belfast Harp Society, to teach young blind boys as part of a charitable attempt to keep the old tradition alive. 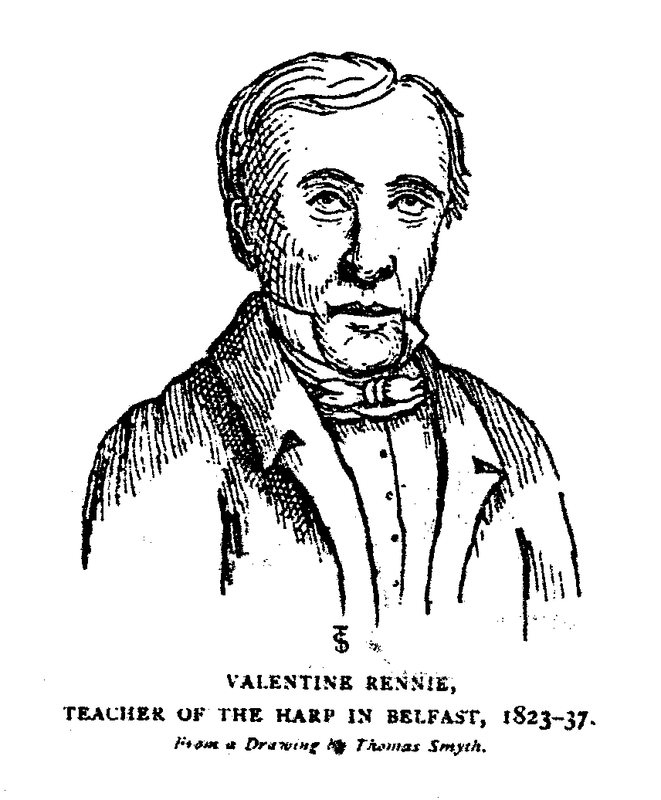 One of Ó Néill’s students there was Valentine Rainie (also spelt Rennie). I wonder if he played or owned a pedal harp, in order to be able to advertise like this as a pedal harp teacher.And if so, whether he learned in Dublin from a teacher in the Anglo-European classical tradition, or if he would just transfer the repertory, style and idiom he had learned from Ó Néill, straight across onto the new instrument. Thanks to Ealasaid Gilfillan for the header photo. Thanks to Sylvia Crawford for the news clipping about Rainie. Thanks to Hospitalfield Arts for alowing me to use their harp.